As a potential customer, we encourage you to click around the rest of the Storey Trucking website. When you do that, you’ll notice that we talk quite a bit about being “driver-first.” That phrase is not just a feel-good filler. We mean it when we say it. Always have. Always will. And here’s what being driver-first means for our customers. One of the upshots of taking care of our drivers is that when we do that, they take better care of your valuable freight. It just makes sense. Naturally, we want to get your shipment from one point to another as quickly and safely as possible. One way we ensure that is by taking care of our people. 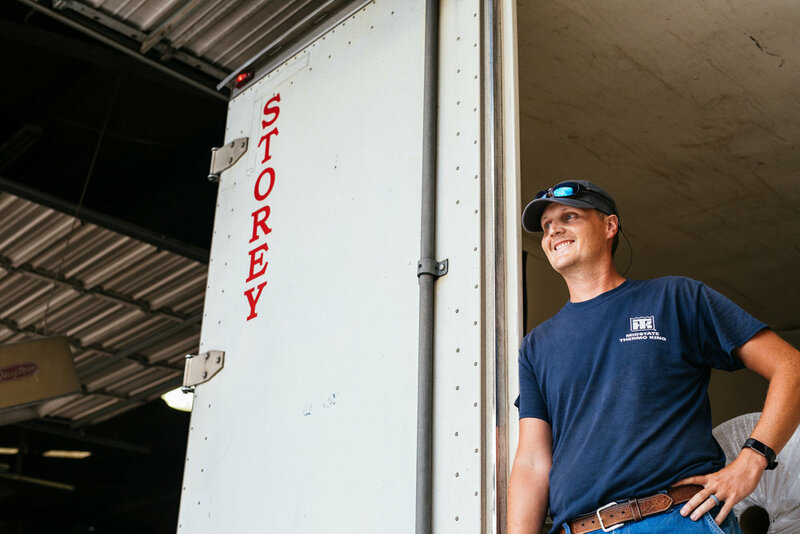 Storey Trucking is based in Henagar, Alabama, roughly 50 miles outside Chattanooga, Tennessee, a well-known logistics hub. Our experience, integrity, and solid track record have earned Storey Trucking a reputation as one of the nation's leading transport companies in both temperature control and dry products. If you need freight run between the West Coast and the Southeast, we’d love to hear from you. To help us better understand your needs, let us know which option best describes your freight type.